No. Your house isn’t haunted. It is, however, possessed by power surges. A power surge is a voltage spike that can wreak havoc upon your appliances, circuit boards and HVAC system. Power surges last approximately several millionths of a second and can carry more than 10,000 volts. Not only can they originate within the house, they will follow any wire into it, including phone and cable lines. Surges triggered by lightning are the most formidable: When 200,000 amps barrel through a power line, they’ll fry wiring in everything from appliances to electronics to lights. Florida is zapped by more lightning strikes per year than any other state. In spite of this, the majority of surge-induced havoc is not caused by lightning. WHAT TYPICALLY CAUSES A POWER SURGE? Backup power generators can also create harmful surges. If yours kicks on automatically when the power cuts out, it can release a power surge through numerous circuits — harming the items it was intended to preserve. Power surges can arise externally from damaged power lines, power grid problems, voltage from the utility line and even the meddling of mice and squirrels. CAN MY AIR CONDITIONER CAUSE A POWER SURGE? Your air conditioner is incessantly turning on and off during the summer. When it turns off, it stops drawing electricity, triggering a sudden voltage increase in your home’s entire electrical network. Generally, this hike isn’t powerful enough to cause damage. However, when taxed by heavy usage on a sweltering day, your electrical equipment — including your furnace — could take a serious hit. It’s hard to think of air conditioners and heaters as anything less than brawny workhorses, but they are actually fragile. They contain sensitive electronics, like the ones in your TV or computer. A power surge can ruin them as easily as it can devastate smaller items. WILL I SEE THE DAMAGE FROM A POWER SURGE RIGHT AWAY? Sometimes the effects will be sudden and dramatic: your water heater is slammed by a surge and dies on the spot. Often, though, you won’t be able to immediately see the damage. You’ve probably noticed small surges when you flip on the vacuum, blender, desktop fan or hair dryer. Repeated energy fluxes gradually wear down these items until they malfunction completely. 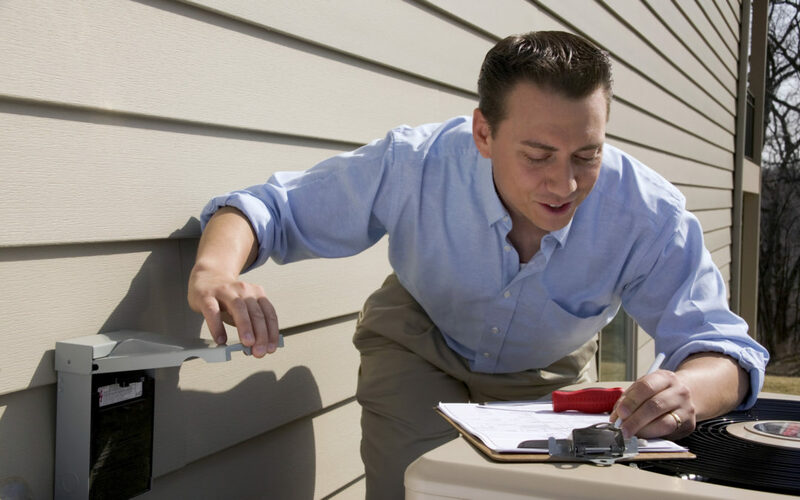 A skilled technician from Progressive Air Systems, representing a family-owned business that will treat YOU like family, will analyze the damage of your HVAC system and clearly explain a solution. CAN I USE A POWER STRIP? Using a power strip to defend your home against electrical spikes is like trying to fight a lion with a salad fork. A power strip merely gives you the convenience of plugging in multiple devices at the same place. It’s not a true surge protector. It’s basically a tricked-out extension cord. IS THERE A BETTER WAY TO PROTECT MY HVAC UNIT FROM SURGE? Since you cannot predict or prevent a power surge from occurring, it is important to take the necessary precautions, in order to protect your individual HVAC unit. The best way to protect your Air Conditioning System from a power surge is to install a HVAC surge protector on each individual unit or install a whole house surge protector by a trained professional. Power surges can be as subtle as a flickering light or as catastrophic as a thunderbolt. When you install a surge protector, you spare your HVAC from possible irreversible damage. And you spare yourself the expense of unexpected repairs or replacement. When you call Progressive Air Systems about installing an HVAC surge protector, we’ll come to your aid with expertise, professionalism and a personal touch. We’ll make sure you don’t get hit with a bolt out of the blue.